MSI GT685 (GT685R) gaming laptop comes with 15.6-inch display with high definition or full high definition resolution. Nvidia GeForce GTX 580M with 2GB GDDR5 dedicated graphics memory gives stunning images on your display. 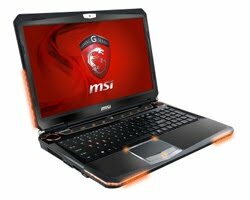 MSI GT685 (GT685R) is powered by Intel Core i7-2630QM quad-core processor. This MSI gaming laptop also has 9-cell battery, HD webcam, card reader, HDMI, D-Sub (VGA), two USB 3.0 ports, two USB 2.0 ports, Mic-in, eSATA, Line-in, Headphone-out, Bluetooth 3.0+HS, 10/100/1000 LAN, and 802.11 b/g/n WLAN. This laptop supports up to 32 GB of memroy.